Never more than a thought away, Loved and remembered every day. Karen Kay (Kies) Angle, age 71, of Covington, died Friday, January 22, 2016 at Good Samaritan Hospital, Dayton. She was born February 29, 1944 in Sidney to the late Homer W. Kies & Helen (Ward) McFee. She married Wayne F. Angle on October 19, 1963 in Sidney Church of the Brethren. He survives along with 3 children, Angela (Ron) Shafer of Charlotte, NC, Anthony Angle (Nicole Pittenger) & Andrew (Patty) Angle, both of Covington; 8 grandchildren, Aaron of Troy, Abbie Rode (Nick) of Ann Arbor, MI, Taylor & Allison of Covington, & Sam of Nelsonville, OH, & Alexandria of Charlotte,NC, Hailie & Lillie Taxis of Covington; brothers and sisters-in-law, Richard (Jackie) Angle of Covington, Dale (Barbara) Angle, Carl (Carolyn) Angle & Phyllis Grove, all of Troy; & many nieces, nephews, aunts, uncles & cousins. In addition to her parents & step-father, Sam McFee, she was preceded in death by her only brother, Joe. Karen was active in child nutrition within the schools for 25 years. 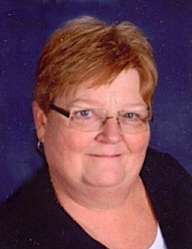 She began her career as a cook in Covington Schools & completed them as Food Service Director for Sidney City Schools. She was active in the American School Food Service Association as a Chapter president & a state officer. She was also president of the Food & Nutrition chapter of OASBO. She loved to cook, feeding both the students & her family & had attained several national cooking awards for her recipes. She also owned and operated Karen's Kountry Katering. She received her ASFSA Child Nutrition Certification in 1999. She graduated from Sidney High School with the class of 1962. She attended Ohio State University & then graduated from Edison Community College in 1989 with an AA & Bluffton University in 1998 with a BA in Business Management Comprehension. She was active in the Covington community & was recognized as one of the original EMTs in 1974 with the volunteer fire department. She served as an Emergency Medical Technician until 1980. She was a member of the Covington Church of the Brethren & served on both the deacon & church boards. She retired in 2005 and traveled in their motor home with her husband across the United States, and cruised Hawaii & Alaska. She loved spending the winters in Florida with all their southern friends. She also spent much of her life with her children and grandchildren, whom she adored. They were her pride and joy. Memorial Service will be held at 5:30 P.M. Monday at the Covington Church of the Brethren, 101 N. Wall St., Covington, OH, with Pastor Michael Yingst officiating. If desired, memorial contributions may be made to the COA (Covington Outreach Association). Condolences may be left for the family at www.stockerfraley.com.